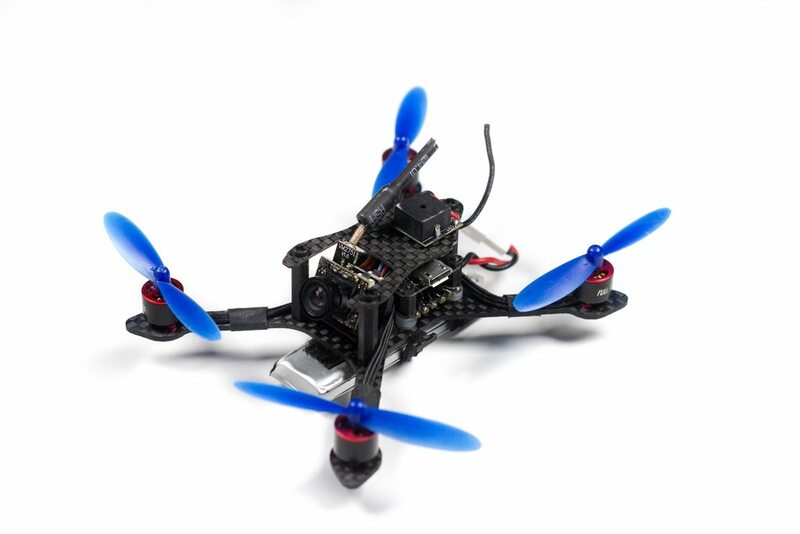 I've always had a soft spot for micro quads, and when I saw this pop up on Banggood I knew this was a strong contender to be that bridge between the Tiny Whoop and something Brushless. Most of the brushless micro's I've seen in the past are usually a fair bit bigger than the TW, pretty heavy, don't fly that great, and actually for the most part have no postivies to write home about. However upon inspecting what specs this had, I contacted the manufacturer to see if it was possible to review one. From the specs we can see this is no stranger to some of the new technology we've been getting recently - in that tiny 16x16mm stack we've got a Full F3 CPU, Betaflight OSD (via Ominbus), and we're even running BLHeli_S DSHOT esc's! It's kinda of crazy to think all that is packed in that little stack, considering I do not actually run DSHOT on my main quads still! Unfortunately (but actually quite a nice thing), there is nothing really to see here. 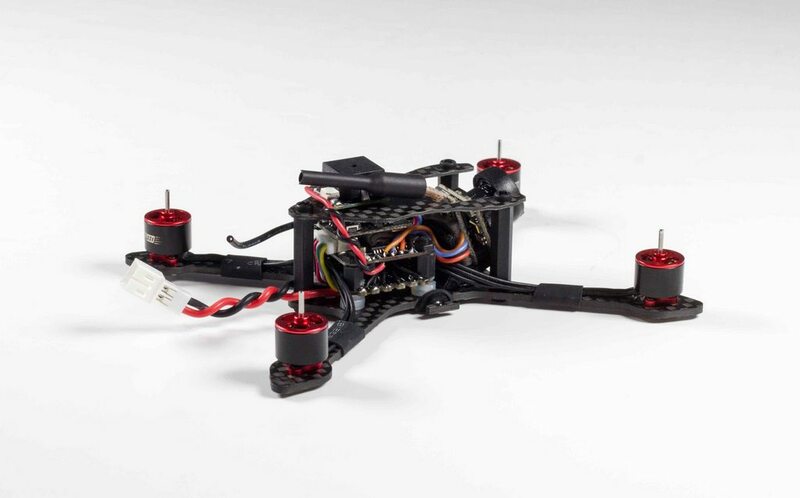 The guys at FullspeedRC were kind enough to pre-build the whole quad (this is how it comes when you buy) and all that is left to do yourself (if you buy it RX-less), is to add in your receiver, and the propellers and you are done! The receiver they provided was just one of the generic FrSky Compatible D8 receivers, I'm not sure who manufactures it but it's all installed very neatly. Inside the packaging we can see they've chucked in 3 of the recommended size lipos, a charge cable and plenty of props to get me through the review! 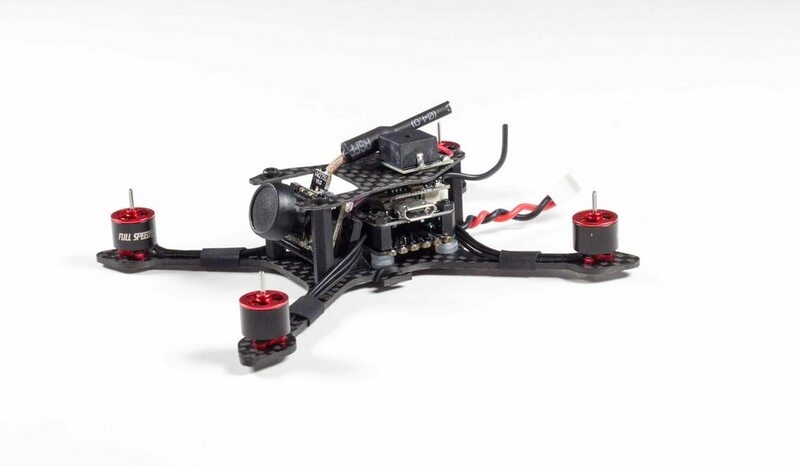 The quad itself looks great at a first glance, it makes you appreciate how far the hobby has come in really just a couple of years, when you compare it's size to other quads. Looking up close and personal with the side of the stack we can see we've got the camera stuck down with some double-sided foam tape which seems perfectly adequate. My only concern here was the antenna but in all honesty I've had absolutely no issues - I was expecting it to perhaps get pushed back and short onto the frame but I've had no such thing so far. I will likely add a little bit of tape on the frame here just to ensure it doesn't happen in future though. Looking further back we can see the stack that gets this thing moving in the air! There's some tiny nylon M2 hardware holding it all together with some rubbery washer dampers separating the stack from the carbon, this will also hopefully remove any vibrations perhaps coming from the motors. There's very few cables here as the ESC directly plugs into the FC, and with the receiver sat on top these wires are also extremely short. In fact, if you remove the buzzer there's really no wires apart from the camera/vtx combo which has power, and then video in and video out - meaning you can run the betaflight OSD to it. Pretty cool if you ask me! It's the first micro combo I've seen where you have video in and out wires, very smart when you can fit an OSD now on such a small PCB. 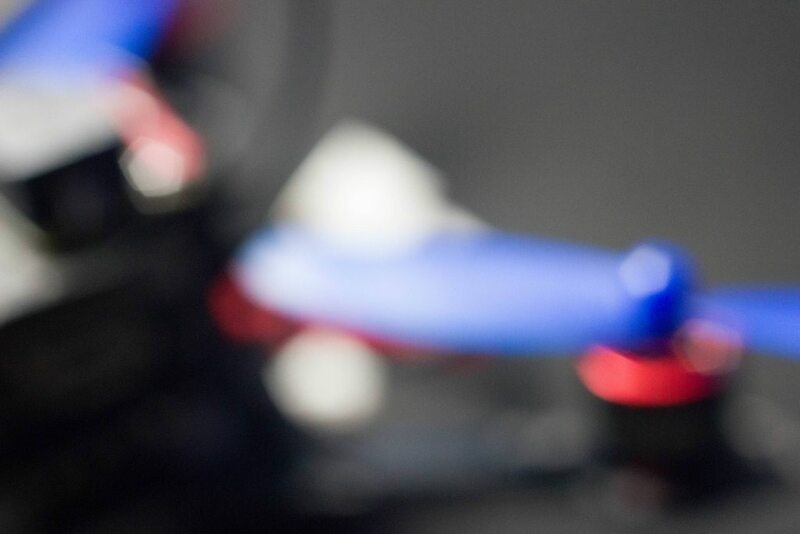 From the underside we can see we've got the JST PH2.0 power plug that is also used on the upgraded TinyWhoop - these connectors are great that have many uses before becoming bad and will handle the power just fine. You'll also notice a pretty unique (at least I've not seen it before) 3 screw motor base design, which makes total sense on a motor this small that would actually struggle to hold 4 screws without being insanely weak (due to a lack of material). To hold the battery in place we've got some small rubber bands that slot around some cutouts in the carbon. I'll also be adding some velcro here to stop the lipo from moving around in the event I do crash (which let's face it will definitely happen). I've also flown indoors in around 4 different locations now, but for the most part I cannot post footage of the locations due to sensitivity of stuff around. I can say however I think I've put maybe 50 packs through it now, and it's been epic fun to fly. So much so I gave it to LeeFPV and CollisionFPV to fly - they were both interested to see how it performed after I raved about it to them a few weeks prior, so what a better idea to do than see how they think by letting them fly it?? Overall I've had some really good fun with this, it is without a doubt more powerful than a TinyWhoop and I think is the next overall step into brushless territory in terms of speed and power. The only thing I think that really lets it down is the fact it doesn't have any prop guards - if it had somehting built into the frame this would stop pretty much most of my negatives with it. Luckily for us, I have been informed that prop guards have now been designed and manufactured! During my flying pretty early on in an indoor environment I did have some crashes (not what I would call hard), but that has meant 1 of the motors had a bell fly off (I found it). The motor shaft is secured to the base simply with a brass washer. As soon as this comes loose there is nothing to stop the motor from coming off, it does not seem to come off in flight however so it flies just fine, but something to be aware of. I also have another motor that seems to cog on initial arming (I run with Air Mode) - this means I must spin the propeller manually for it to start spinning up (it's almost as if it's a damaged phase, but it works fine in flight) so I'm not really sure how to explain it, but it still works! 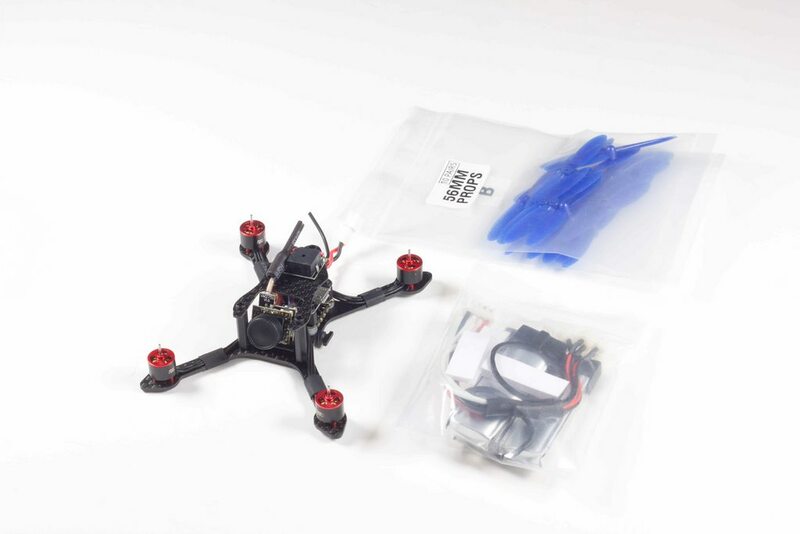 With something like this the bonus is spare motors are available on Banggood and other retailers so all is not lost, and interestingly they are priced at pretty much the same price as TinyWhoop motors, so it's not as if you'll be breaking the bank to get it back in the air if you do have accidents. 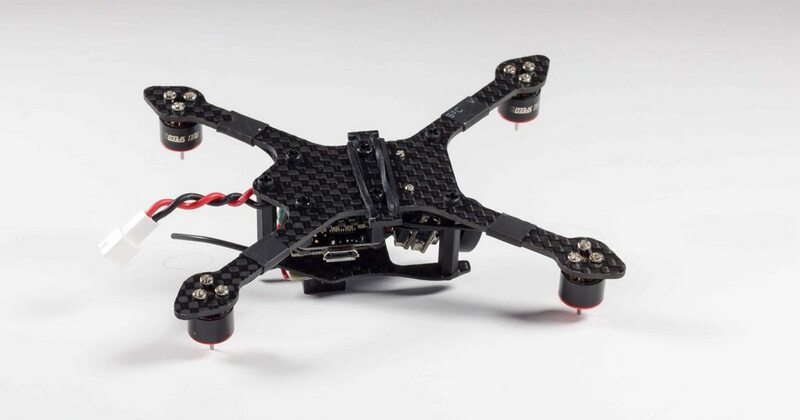 The great part about this is that I now have word from FullSpeedRC mentioning that they have just designed a prop guard for it that only weighs 3 grams! This sounds like it should then make it into an absolutely ideal quad, if you can't damage the motors and can also bounce off of gates and other obstacles you have no downsides! Now, with that negativity out of the way let's move onto the positives!! I do not want this review to come across as negative, just honest, so let me now go over what I love about this tiny brushless beast. 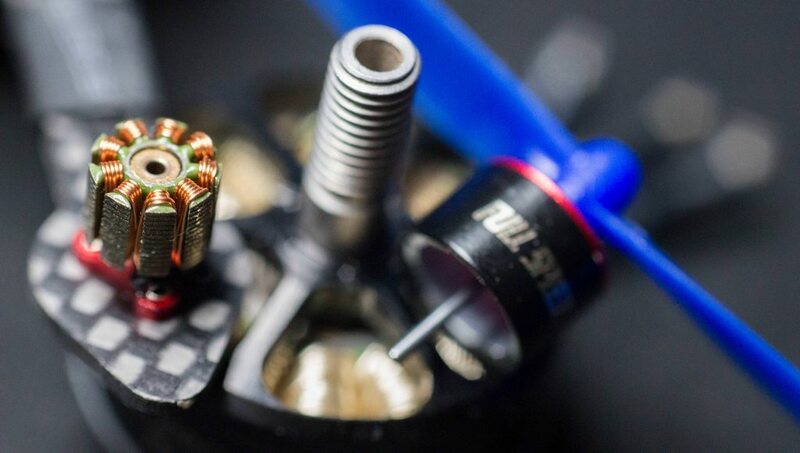 First off, the Betaflight OSD is awesome - this is one thing that TinyWhoops and other small quads lack - any sort of voltage indication - this means you can fly your heart out and come in without killing your batteries or dropping out of the air. It also means of course you get HUGE amounts of functionality you wouldn't otherwise normally have such as PID adjustment and all the other Betaflight OSD features. Like any other full-featured 'control' stack you get a decent F3 chip to run everything lighting fast, including DSHOT on the BLHeli_S escs. Being brushless means you're also far likely to have a much more stable quad as well which in my opinion makes the experience a whole lot more fun, especially with a CMOS camera combo where any slight vibrations are noticed easily. In terms of the frame itself I think a Stretch X flies really well and helps keep clean air over the props which is definitely demonstrated by its super fast flying capabilities, this thing does not hang around and for the size everyone was very impressed about how quick it was during testing at BMFA Buckminster as in the video above. The VTX and camera combo does really well and holds its own, and with all 48 channels you're future proof - the only thing I'm not so keen on is the camera, but maybe we'll see a Runcam micro edition out soon now that developments in this area are now happening! Cannot connect to betaflight without plugging in a lipo - so ideally have to take propellers off. Motors seem a little weak, but if you fly in less harsh environments they should be fine, and spares are available.